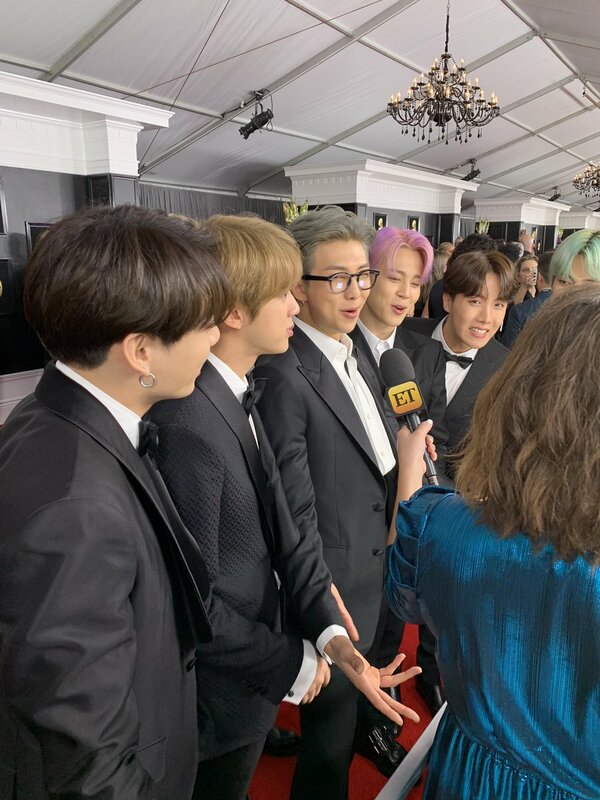 Entertainment Tonight's tweet - "BTS IS FINALLY HERE!!!! 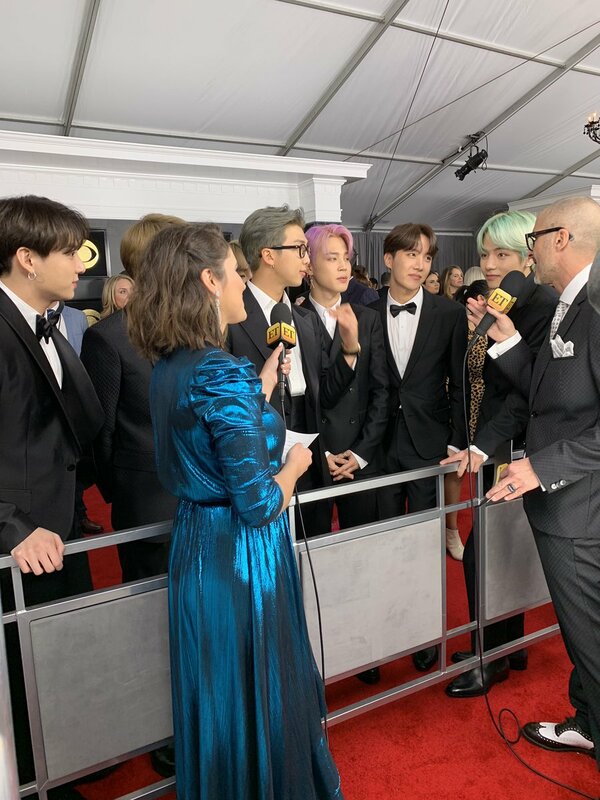 #GRAMMYs #TearItUpBTS 🥰🥰🥰🥰 "
Where’s the link to this interview?! Gabs with luv👓💄💸 oh my my my oh my my my MOPS!! [TRAD] ¡POR FIN BTS ESTÁ AQUÍ!!!!! Did i miss the interview ??? Someone pl share the link!!! WOOOOOOOOOOO! im getting legit SHIVERS when I get to watch this in a few minutes! Jimin in purple hair again? Yeseryday he was blonde. My baby’s hair, I hope it will get its rest soon.